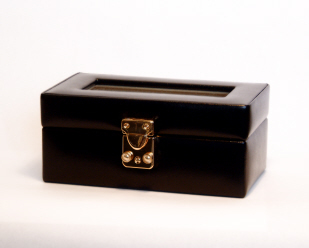 A black leather watch box with compartments for three watches. 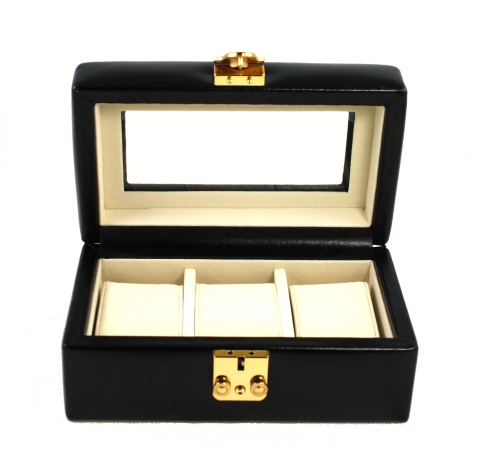 Size approx 7" x 4" x 3"
Square two tone leather watch box containing compartments for two watches. Ideal for home or travel. Black with grey trimming and interior. Boxed.